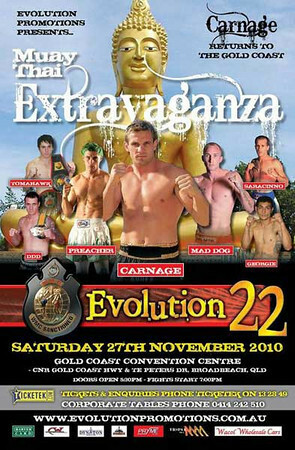 Danny “DDD” Derdowski Vs. Daniel Jones at the Evolution 22 event held in Queensland, Australia. The two up and coming light heavyweights fight in Australia. Derdowski in the past has fought well known Khmer boxer Eh Phuthong. ~ by fatsoking on January 2, 2011.